What’s the value of a union contract? 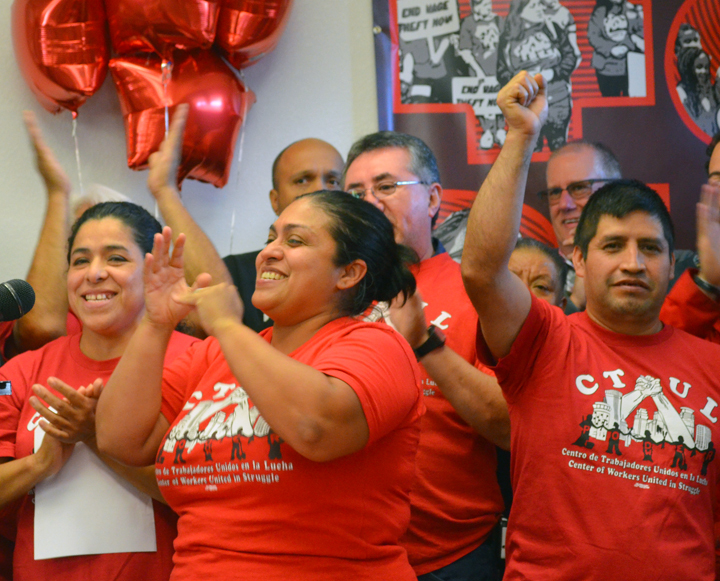 For nearly 500 retail janitors in the Twin Cities, who made history last year by forming the industry’s first metro-wide union, it’s a cool $4.5 million in wage increases and paid time off over the course of their new, three-year contract. Local 26 of the Service Employees International Union, which represented the janitors who clean big-box stores like Best Buy, Target, Macy’s and others in negotiations with cleaning subcontractors, announced the landmark agreement in a press release today, calling it a “path forward for working families” to combat rising income inequality. “While working people are under attack right now from the billionaires in charge of our country, we are showing that we can win if we stick together and fight,” said Maricela Flores, an employee of Carlson Building Maintenance who cleans the Target in Shakopee. The “vast majority” of janitors in the bargaining unit are people of color, according to Local 26, so the contract’s gains will help combat Minnesota’s yawning disparities between white workers and workers of color. The contract goes into effect immediately, and many union members will see their hourly wages jump from $9.50 to $11. They include Lizbet Vega Lopez, a Carlson employee who has cleaned the Cub Foods in Brooklyn Park for 12 years. In addition to wage increases and PTO, workers won up to three weeks of vacation time, stronger workplace protections and job security, and guidelines for workload conditions when covering absences. The campaign continues at Kohl’s, Home Depot and other big-box stores.